Ahaz, king of Judah, did not exercise his leadership over the southern kingdom in a way that was pleasing to the Lord. Isaiah, the prophet, attempted on numerous occasions to call him back from his wandering ways, that is, to be faithful to the covenant and to seek guidance from the Lord as he ruled over God's people. This Sunday's first reading includes Isaiah's invitation to the king to ask for a sign, a blessing from the Lord, as proof of God's willingness to shepherd his people. Ahaz responds in anger, masking his lack of faith, by saying "I will not ask! I will not tempt the Lord!" Isaiah responds with the famous prophecy: "Therefore the Lord Himself will give you this sign: the virgin shall conceive, and bear a son, and shall name Him Emmanuel." Ahaz's lack of faith to God prompted a prophetic word that will echo in the hearts of Christians for the rest of eternity. 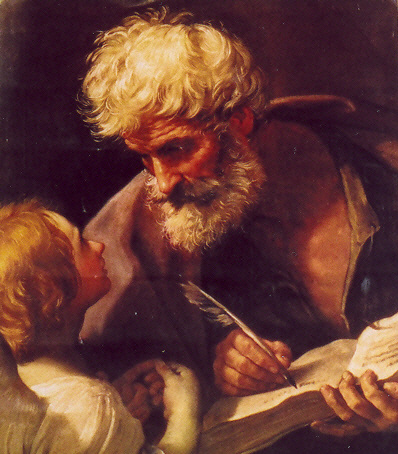 The king's response to God is sharply contrasted with St. Joseph's in this week's Gospel. Joseph faces a heart wrenching predicament: he is married to a uniquely wonderful woman who is pregnant, and he knows that he is not the biological father. Since he is a "righteous man," he chooses to divorce her quietly. The Lord intervenes at this point and appears to Joseph in a dream. Joseph listens to the message of the angel and responds with deep faith and admirable obedience. He takes Mary into his home and embraces his role as foster father of Emmanuel, God-with-us. At first, Joseph is hesitant or unable to embrace God's plan. From the angel's discourse, we know that fear plays a major role in his decision to divorce Mary. Perhaps Joseph does not feel worthy to be a part of the "holy" family, or perhaps God's plan seems unbelievable, too good to be true. In the end, he listens to God, courageously faces his fear, and makes the decision to do what he is asked. The faith-filled response of St. Joseph stands in stark contrast to the faith-less response of King Ahaz. Both Mary and Joseph come before the Lord, at different moments, all alone, facing the decision to believe in God and trust in His unfathomable plan, or to give in to fear and doubt and offer a resounding "no" to the Lord of heaven and earth. Their radical "yes" brings fulfillment to their lives and enables them to participate by their own free will in the marvelous, saving work of God. While it is true that none of us will ever be asked to do anything quite like Mary and Joseph, every one of us is called to make a similar act of faith. We all stand alone before God and are asked by our Creator and Redeemer to place our lives in His hands and to trust in His loving plan for us. We are invited by the Holy Spirit, dwelling within us, to overcome our fears and doubts and, like a trusting child, make the leap of faith into the arms of our Heavenly Father. It is arguably the most difficult decision that we will ever make, and it is unquestionably the most rewarding one. May the grace of Jesus Christ, the powerful example of Mary and Joseph and the blessings of this Advent season lead every one of us to respond fully to God with the obedience of faith.